Deposit funds into your Surebet247.com account easily for sports betting, usingATM like Naira master card, Visa Card, Verve etc online easily without passing through the stress of queuing in the bank. 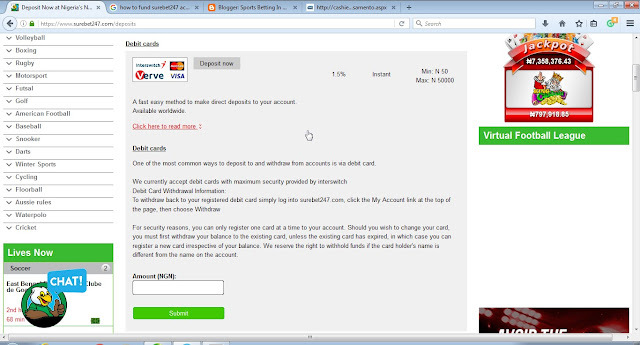 If you have just created an account with Surebet247.com, then the next thing to do is to fund your online account. Once registered visit www.Surebet247.com and login to your account. 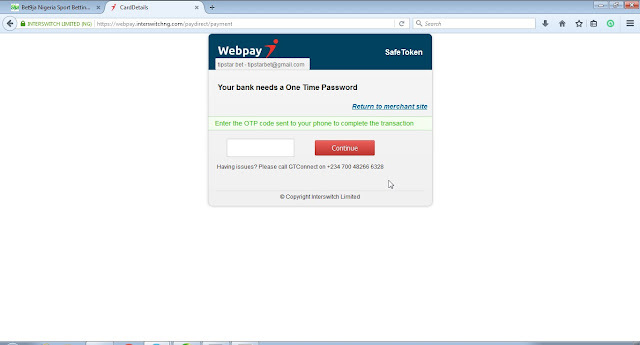 if you are not login you will get this message "You’ll need to Join orbe Logged in to deposit"
2. On the 'DEBIT CARD' payment method click on "Click here to read more >" below it to start up your account funding process. 3. Enter the amount you want to fund your account with in the box provided as seen from the screenshot above and click "SUBMIT", them click on "ACCEPT". 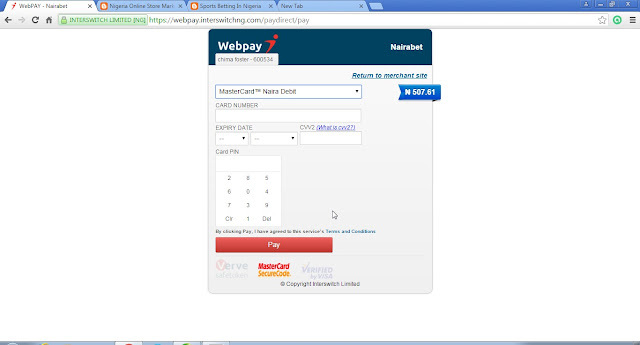 you will be taken to the payment gateway. 5. if your details is correct you will get a OPT CODE direct to your phone then quickly enter the code as seen in the image below and click on continue. 6. 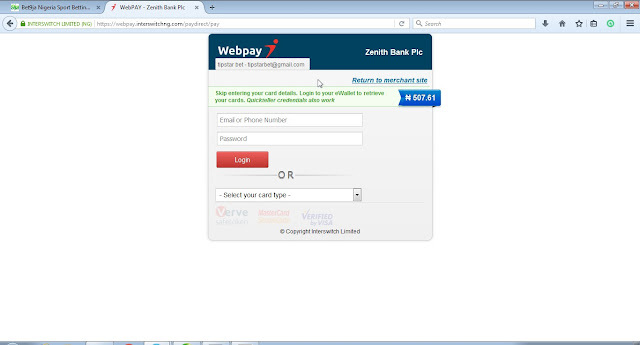 You'll be redirected back to www.surebet247.com deposits page, where you can view the status of your transaction. 7. If your transaction is successful, your surebet account would be funded instantly, and you can make use of the funds.